Brock Lesnar and Ronda Rousey are two of the biggest stars of the men's and women's roster in the WWE. But there is a huge possibility that both former UFC Superstars may not feature in the WWE following WrestleMania 35. Cageside Seats have now revealed what Vince McMahon could do to keep Lesnar and Rousey in the company following the marquee event. Over the last few years, Brock Lesnar has been a bit-part player in the WWE, making appearances only at major PPVs. Lesnar won the Universal title which was vacated by Roman Reigns, at Crown Jewel, when he defeated Braun Strowman. Since then, he has wrestled just twice - once against Daniel Bryan at Survivor Series, and at Royal Rumble, when he faced Finn Balor. Meanwhile, Ronda Rousey has also not been defeated since winning the RAW women's title from Alexa Bliss at SummerSlam last year. She will be facing off against Ruby Riott at this week's Elimination Chamber, and then face Charlotte Flair at WrestleMania 35. Cageside Seats reports that Vince McMahon will do everything in his power to retain Brock Lesnar and Ronda Rousey in the WWE following WrestleMania 35. 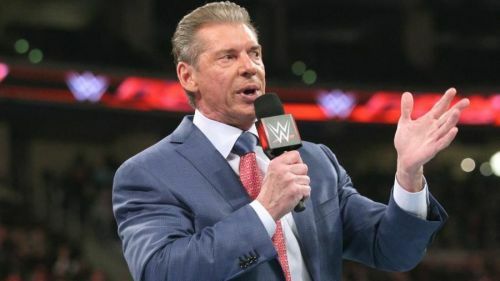 Recent reports stated that Vince McMahon is concerned about his high-profile stars leaving the company, including Lesnar and Rousey, and that he "will throw a lot of money" to keep the current Universal and RAW Women's champion. Brock Lesnar will face off against Seth Rollins at WrestleMania 35, but we aren't sure when he will return to the UFC yet. Rousey will now challenge Charlotte Flair at WrestleMania 35 after Vince McMahon replaced Becky Lynch from the match. Do you think WWE should throw money at Brock Lesnar and Ronda Rousey to convince them to stay in the WWE? Comment below! WWE Rumors: Ronda Rousey's return date to WWE revealed?